So CALL OF DUTY is not the only franchise looking for a big, pop, name to include in their marketing strategy. While the next Call of Duty will feature a title song by TRENT REZNOR (and the original score to come from composer Jack Wall), now, the MEDAL OF HONOR franchise is getting into the act. A-list game-franchises are starting to look (and sound) like the Hollywood movie industry (at least the blockbuster-machine-segment) everyday. 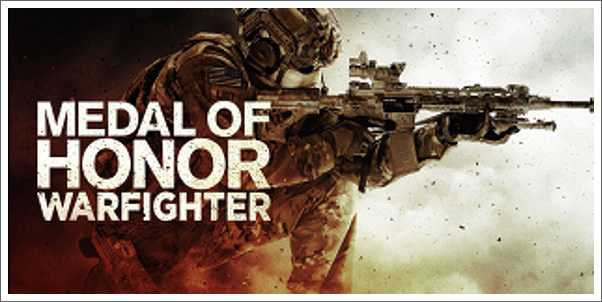 According EA's official press release, it sounds as though composer Mike Shinoda will be taking the reigns of the Medal of Honor game franchise...at least in terms of their next release, MEDAL OF HONOR: WARFIGHTER. Not only will Shinoda be writing the game's original score, but the game will also feature a single from Shinoda's group, LINKIN PARK, "Castle of Glass." Apparently, the likes of Brian Tyler, Sean Murray, and even Hans Zimmer don't pack enough marketing punch for these already-blockbuster-titles. It looks like the inclusion of "more marketable" names is still on the increase. It could very well be that Reznor's and Linkin Park's song fit their respective titles like a blood-soaked-gunpowered-tainted-glove. Time will tell us. We certainly should expect a decent original score from both Jack Wall and Mike Shinoda, but who's names do you think will be garnering all of the attention and be prominently displayed on the box and the ads for each of these games?